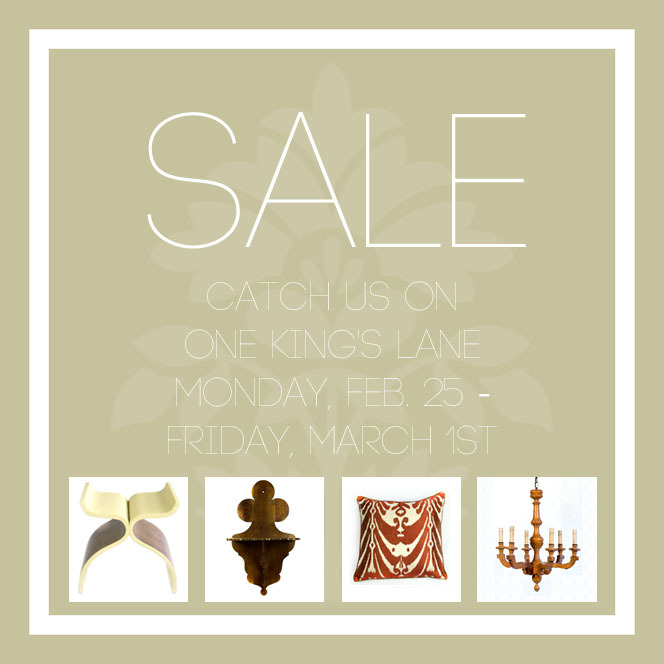 Be sure to check out our third Tastemaker Tag Sale happening on One Kings Lane next Monday at 8 pm CST and running through Friday morning. We are thrilled to be featuring Roger’s latest finds as it’s always so much fun seeing what people buy from all over the country. If you aren’t a member yet, what are you waiting on? It’s our favorite resource to browse for great deals and a variety of one-of-a-kind finds!